I'm so happy to finally be able to share this pair of projects with you! The Anagram Hat & Wrap are part of the new amirisu Winter 2018 issue, along with seven other patterns celebrating texture in knitting. 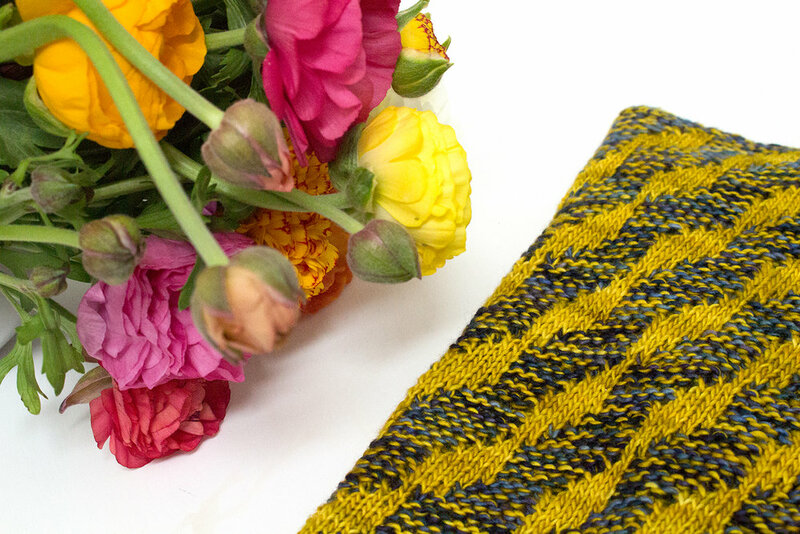 Geometric stitch patterns have become a real signature of mine - I find them very satisfying, both in the designing stage and the knitting. Because of the small repeating elements in their stitch patterns, the Hat & Wrap are very rhythmic and meditative to knit. 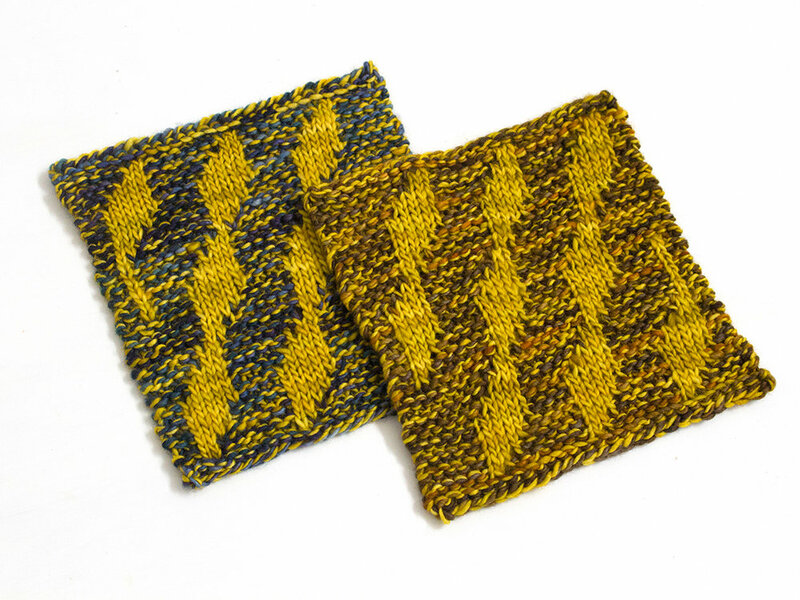 I rearranged the little 'blocks' of pattern, with diagonal lines travelling across the garter stitch background, just like rearranging the letters in a word - so I think of these two stitch patterns as 'anagrams' of each other. The Anagram Hat & Wrap are both knit in Brooklyn Tweed Arbor in the delicate wintery shade 'Thaw'. 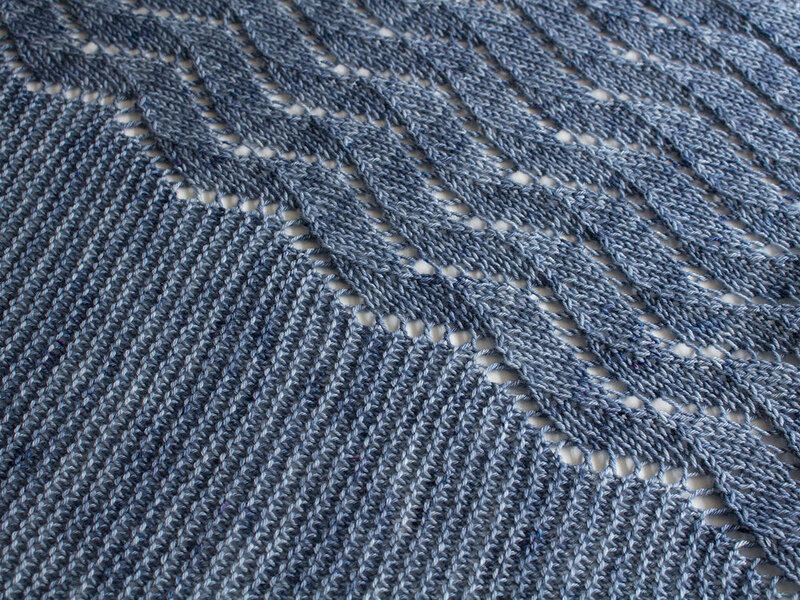 Arbor's beautifully crisp stitch definition really lets their texture shine. 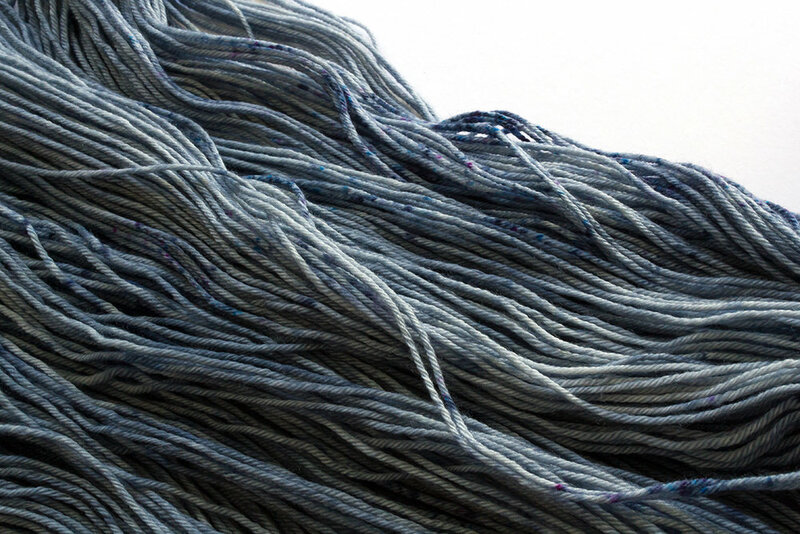 You will need 7 skeins for the wrap and 2 for the hat (including a pompom if you wish). The patterns are available as part of amirisu Winter 2018, Issue 15. You can purchase a print copy from their website or your favourite yarn shop, or a digital copy from amirisu's website or Ravelry.